St. Stanislaus, bishop of Cracow, died as a martyr in 1079 as a result of a conflict with Boleslaus II, the king of Poland. Stanislaus was canonised in 1253, and the city of Cracow became the centre of his cult, which in the course of the Middle Ages spread throughout Poland and to neighbouring countries. The holy bishop became the patron-saint of Poland, one of the symbols and icons of Polish history, and the respect and devotion towards him is still very much alive in Poland today. Numerous studies have dealt with aspects of his legend and cult (origins, hagiography, miracle collections, and liturgy). Yet medieval sermons in his honour have been largely neglected, despite the fact that the preaching on the saint was clearly instrumental in facilitating the cult's proliferation. This study examines the preaching on the martyr-bishop and the relationship between the sermons, the construction of his image and the operation, spread, and functions of his cult. 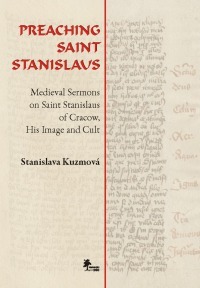 It offers a comprehensive analysis of the sermon corpus within the late medieval discourse on St. Stanislaus from the thirteenth to the fifteenth century. It presents, catalogues, and analyzes 80 largely unpublished Latin sermons and preaching materials, gathered from an investigation of 100 manuscripts, and presents editions of a selection of them. The work contributes not only to our understanding of the development of the cult of St. Stanislaus but also to the study of representation of sanctity and of the preaching and religious communication in the region of Central Europe. Casus pulchri de vitandis erroribus conscientiae purae. Orzeczenia kazuistyczne kanonistów i teologów krakowskich z XV w.